Lite. This profile includes only 6 parameters for everyday usage - weather condition icon, air temperature, wind direction and speed, clouds precipitation. Compare. You can compare wind speed forecast between different forecast models - GFS27, GFS+, ICON13, ECMWF, ICON7. GFS, ECMWF, GFS+, ICON13, ICON7. You can choose weather model that you think the most accurate forecast gives and check weather conditions based only on one model. Snow. Our new profile that shows you freezing-level charts, temperatures at different altitudes, snowfall rates, and other essential information for winter sports. Kite. 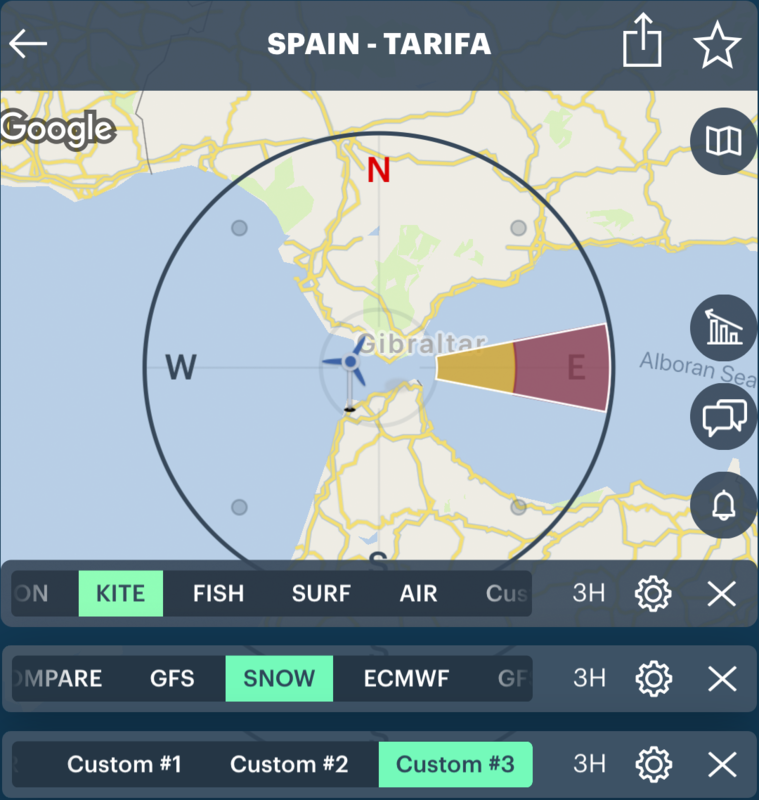 For kitesurfers we added not only wind parameters but also kite size recommendations based on the wind speed and gusts. Fish. For anglers and fishermen we added solunar forecast, atmospheric pressure at sea level and moon rise and set. Surf. Especially for surfers we added swell size and direction, height, period and energy. Get the best surfing experience since now. Air. For all those whose activity is connected with air we added relative humidity, cloud base. Custom. The super feature for our PRO users is an opportunity to make your own profile. You can rename and customize - add only those parameters that you really need. Choose the mosts relevant profile for your activity, switch between, create your own ones and don’t forget to share your feedback with us. Get the most from your WINDY APP.